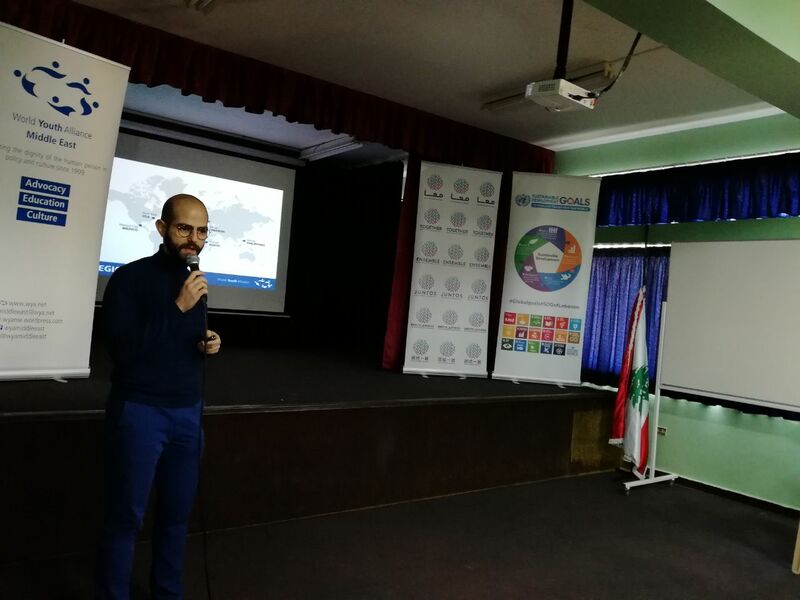 On Thursday, February 1, WYAME Regional Director of Operations Mr. Nicholas Maalouf visited Amsheet High School along with the United Nations Information Center Public Information Assistant, Ms. Maryam Sleiman, as part of the UN Aware Program. Mr. Maalouf introduced the students to the World Youth Alliance, the Certified Training Program, the internship program, WYAME’s training opportunities, and the concept of human dignity and its importance to human rights in international. For her part, Ms. Sleiman talked about the United Nations, the Together Campaign, and the Sustainable Development Goals. Students showed great interest in the topics that both speakers were talking about and some of them signed up to become members of the World Youth Alliance.